The best way to enjoy the wonders of the Reef in the Mackay region is from Brampton, Carlisle, Scawfell, Keswick and St Bees Islands. 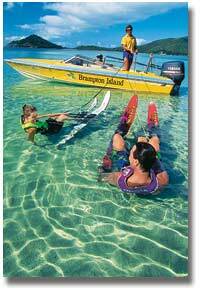 These islands are surrounded by magnificent coral reefs and are all national parks. During the peak season from June to end August, whales can be heard and seen underwater around the islands. Whale calving have also been sighted in Connie Bay and the sheltered wasters of Keswick Island in recent years. Keswick and St Bees Islands are separated by a narrow channel and are well known for their historical shipwrecks and great snorkelling and diving. At Keswick Island you can take a spectacular drift dive through Egremont Passage, over diverse and colourful coral gardens. St Bees Island is home to a large colony of koalas that has been under the watchful eye of Earthwatch research groups. Scawfell Island is a popular resting spot for yachts and has magnificent landscapes of granite cliffs and rainforest-covered steep mountain slopes. It is also a popular nesting area for marine turtles. 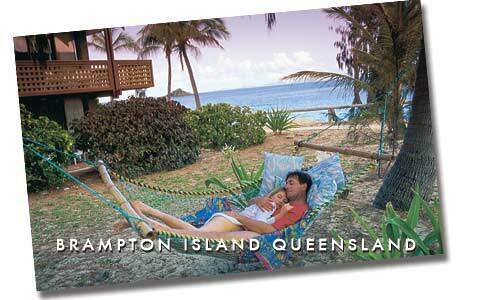 Brampton Island offers a 3.5 star resort, with lush national park surrounds, and outstanding snorkelling sites right off the front beach, with an abundance of marine life including fish, turtles, stingrays and sea urchins. The resort also has a chip and putt golf course, you can also take a ride on the mini steam train and watch the fish feeding which occurs daily. And with a sea spa body and therapy room, and emerge renewed with enough energy to take on more water sports action or relaxed enough to enjoy some serious time-out on a sun lounge.